Glynne MacLean is an award winning and internationally published New Zealand novelist and poet who lives in Eketahuna in New Zealand. To date Glynne has had ten book titles published, two of which have been translated into French. Glynne's published works include junior historical fiction, junior and young adult science fiction, junior contemporary fantasy, adult fiction and non fiction. Her books have been published in New Zealand, Australia, Canada, Malaysia and the United Kingdom. Five of Glynne's six published novels and two of her illustrated titles, 'The Test' and 'The Silent', are for a market that really excites her - young independent readers largely between eight and fourteen years of age. Glynne uses exciting stories with simplified sentence structure and plot lines without compromising, grammar, language, characterisation or hope. To Glynne there is nothing better than getting kids excited about reading and starting to wonder, "What if that was me? ", "How would I react?" and "What do I think the characters should have done?". Glynne uses science fiction, fantasy and historical fiction to create other realities both for kids to escape to and to ponder. Science fiction also allows the introduction of scientific ideas that if presented in science class might not spark the imagination. Often her stories are set in a very recognisable now with a twist. Glynne does not write post-apocalyptic fiction or poetry - believing there is enough doom and gloom in the real world without her adding to it! Glynne's favourite form is the novel and she writes across a wide range of genres including fiction, historical fiction, fantasy and sci fi. Glynne sees the universe, past, present, and imagined, as providing an unlimited canvas. Writing sci fi allows her to examine issues and scenarios beyond the constraints of the prevailing culture and its definition of political correctness. Glynne's short story, 'Dark Matter - No Exit', has been published in the Pheonix Writer's anthology Lost In The Museum published by Makaro Press & Pheonix. To read a review click here. 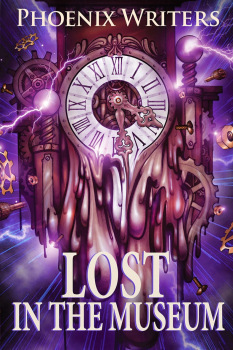 Lost In The Museum is available at New Zealand bookshops and the Ebook Kindle Edition is available on Amazon. 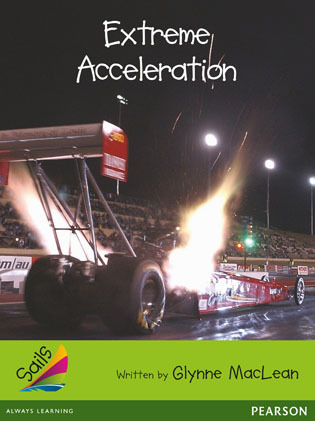 'Extreme Acceleration', was published by Pearson in March 2012 as part of their Sails Advanced Fluency series. 'Extreme Acceleration' is an Emerald - Non-Fiction: Informational Explanation about top fuel dragsters that accelerate from zero to five hundred kilometres per hour in under four seconds. Pearson Education (NZ) has also bought her story 'Papa's Homecoming' for future publication. In February 2012 Glynne had three further titles published. 'The Camel And The Tiger Moth', a Silver - Narrative based on a visit to a Wings Over Wairarapa" Vintage Airshow held in Masterton, was published by Pearson (NZ) as part of their Sails Advanced Fluency Series and Glynne's first translated works were published too. 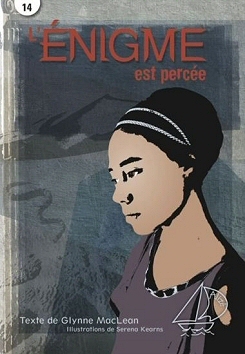 'L'Énigme Est Percée', the French language translation of 'The Test', ISBN: 9782761341998 (2761341996) was published in February 2012 by Pearson ERPI in Quebec, Canada. 'La Procession', the French language translation of 'The Silent', ISBN: 9782761342001 (2761342003) was also published in February by 2012 by Pearson ERPI in Quebec, Canada. 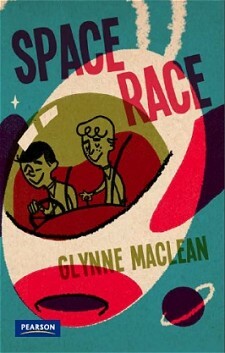 Glynne's sixth novel 'Space Race' was published in New Zealand & Australia by Pearson in February 2011 as part of their Nitty Gritty Novel series 0. 'Space Race' is exciting junior science fiction for 8-10 years old and was a finalist in the Best Youth Novel category of the 2012 Sir Julius Vogel Awards. For more details and the companion website click here and to buy click here. Glynne's fifth novel 'Escape' was published in October 2009 by Pearson in New Zealand and Australia as part of their Nitty Gritty Novel series I. 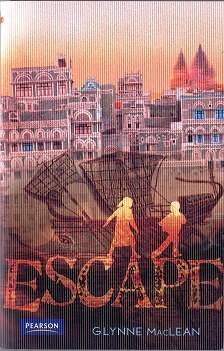 'Escape' is a fast moving historical novel set in Socotra, a bustling centre of sea-going trade in the days of the Byzantine Empire - a crossroads where races and cultures meet. 'Escape' is suitable for a reading level of 9-11 years. 'Escape', and the other books in the Nitty Gritty Series 1 were Finalists for Best Book or Series in Primary Publishing in the inaugural CLL Educational Publishing Awards 2010 and were Highly Commended. For more details and the companion website click here and to purchase click here. 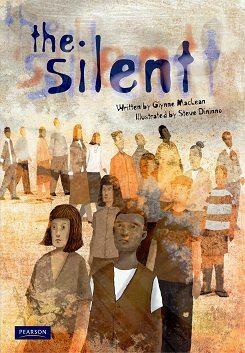 Glynne's second illustrated title 'The Silent' was published in New Zealand and Australia (July 2009) by Pearson Education as part of their MainSails Level 4 series. 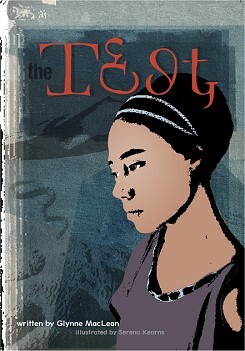 'The Silent', like her earlier illustrated title 'The Test' which was published in New Zealand and Australia in May 2009, 'The Silent' is a 32 page illustrated fantasy for young teenagers designed to enhance the critical literacy, writing and comprehension of Middle and Upper Primary Students. To purchase 'The Silent' from Wheelers Books click here and to buy 'The Test' click here.The illustrator for 'The Test' Serena Kearns won the 2010 Sir Julius Vogel Award for Best Artwork for her illustrations in 'The Test'. Glynne's fourth novel, 'The Time Stealers' was published November 2008 in New Zealand, Canada and Australia. It is science fiction for young teenagers published by Pearson Education as part of their Nitty Gritty Novel series III. For more details and the companion website click here and to buy click here. 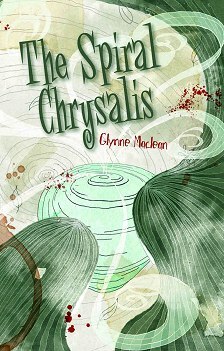 Glynne's third novel, 'The Spiral Chrysalis' was released in New Zealand, Canada and Australia in February 2008. 'The Spiral Chrysalis' is a fast moving junior fantasy published by Pearson Education as part of their Nitty Gritty Novel series II. For more details and the companion website click here and to buy click here. 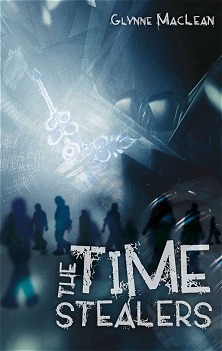 'The Time Stealers' was a finalist in the 2009 Sir Julius Vogel Awards for Excellence in Science Fiction & Fantasy in the professional category of Best Novella/Novelette for books under 40,000 words and 'The Spiral Chrysalis' was a finalist in the 2009 Sir Julius Vogel Awards for Excellence in Science Fiction & Fantasy in the professional category of Best Young Adult/Children's Novel. 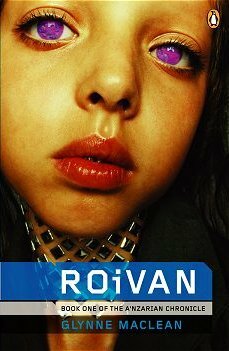 Glynne's first novel, 'Roivans', a sci fi novel for young teenagers published by Penguin, came out in August 2003 to excellent reviews. In addition to being listed as a NZ Listener Best Book of 2003 it was listed by the Children's Literature Foundation of New Zealand among just eight Young Adult Fiction titles in their List of Notable Books 2004. 'Roivan' won the 2003 Sir Julius Vogel Award for Best New Talent as well as being a finalist in the Sir Julius Vogel Awards Best Novel category. For more details and the companion website click here and to buy click here. Glynne's second novel, 'Love in Shades of Grey', an adult novel (mainstream fiction) was published by Penguin (New Zealand) in June 2004. Upon release 'Love in Shades of Grey' was selected as a Dymocks Critics Choice. For a synopsis, reviews, reader feedback and the Louise Labé sonnet, click here and to buy click here. Glynne's novel, under the working title 'The Protector', won second prize in the Unpublished Manuscript category of the 2013 Ashton Wylie Awards. 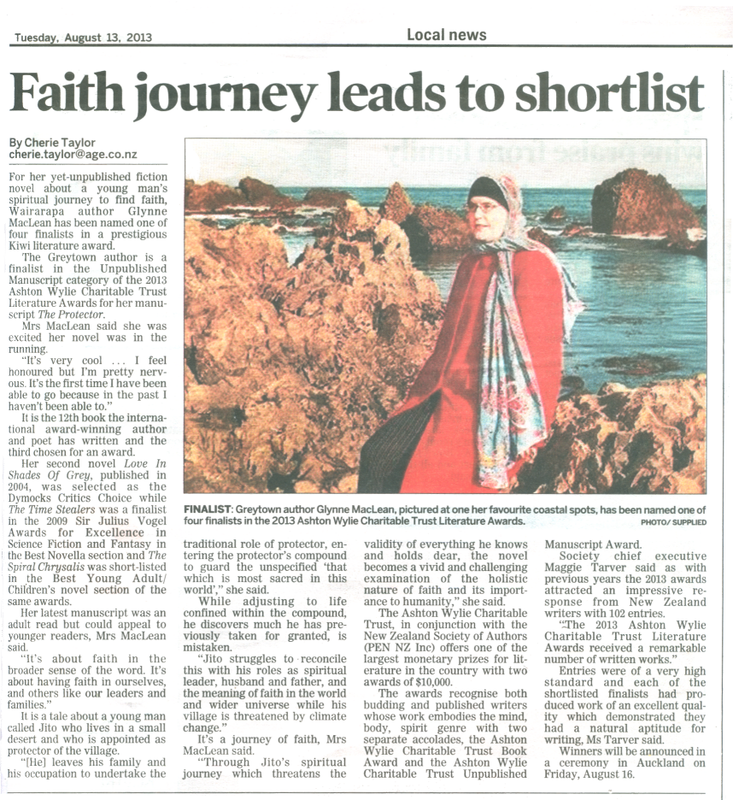 One of the three judges, William Taylor, commented that it was a story both young and older adults would enjoy and added, "at the the heart of her story is the premise that faith is the underpinning of belief." The novel is a vivid and challenging examination of the holistic nature of faith and its importance to humanity. Glynne has had short fiction published in the pacific ezine Prima Storia, in the nationwide New Zealand newspaper, DIS Information, poetry published in print in Switzerland in Niederngasse, The Journal of Winning Poetry, prose poetry and poetry published in the ezine Fantasy Folklore & Fairytales, and twice published in the European tri-lingual ezine Poems Niederngasse. Her computer issues columns were published in 37 issues of the Wellington CCS magazine Chatterbox and archived on the internet. Glynne graduated from Waikato University in 1984 with a Bachelor of Arts and chose to write in 1996 after a successful career in the travel industry. Glynne supports her writing through building commercial web sites on contract as FrogWrite Creations and on World Disability Day, on 3 December 2009, Glynne won the Attitude Artistic Achievement Award which recognises a disabled New Zealander who has made a difference through their creativity in the last 12 months. In the 12 month period under consideration Glynne had four books published; two novels 'The Time Stealers' & 'Escape' and two illustrated books 'The Test' & 'The Silent'. Glynne is represented by Frances Plumpton. A Nitty Gritty Novel Series 0, Junior Science Fiction. (New Zealand, Australia & Canada). A Nitty Gritty Novel Series I, Junior Historical Fiction. A Nitty Gritty Novel Series III, Young Teenage Science Fiction. (New Zealand, Australia, Malaysia & Canada). A Nitty Gritty Novel Series II, Junior Fantasy. (New Zealand, Australia, Malaysia, United Kingdom & Canada). An Unusual Love Story, Penguin Books (NZ) Ltd, 01 June 2004, Adult Fiction, ISBN: 0143019309, EAN: 9780143019305. Sails Advanced Fluency Silver - Narrative. 20 Pages. Illustrated by Dennis Juan Ma. MainSails Level 4, Young Teenage Illustrated Fantasy. 32 Pages. Illustrated by Steve Dininno. 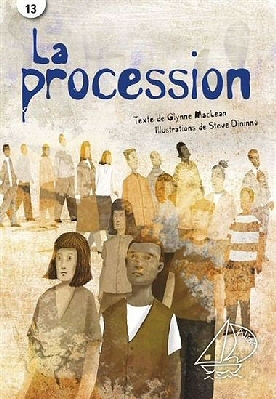 'La Procession' Pearson ERPI (Canada) Ltd, February 2012, ISBN: 9782761342001 (2761342003). Alizé Young Teenage Illustrated, French language, Fantasy. 32 Pages. Illustrated by Steve Dininno. 'The Test' Pearson Education. (NZ) Ltd, May 2009, ISBN: 9781869706050, ISBN10: 1869706056. 32 Pages. Illustrated by Serena Kearns. Alizé Young Teenage Illustrated, French language, Fantasy. 32 Pages. Illustrated by Serena Kearns. 'Extreme Acceleration' Pearson. (NZ) Ltd, 21 March 2012, ISBN: 9781442556362 , ISBN10: 1442556366. Sails Advanced Fluency Emerald - Non-Fiction: Informational Explanation. 20 Pages. Adult science fiction short story included in a Science Fiction/Fantasy Anthology. Schrödinger's cat tells his story of the famous thought experiment. 'Viennese Meow' - Schrödinger's cat tells his story of the famous thought experiment. The ONLY email addresses active on this domain is glynne@glynne.co.nz. Any mail purporting to come from any other address @glynne.co.nz is NOT from Glynne MacLean and is fake and has been sent illegally. Likewise any person using any other address @glynne.co.nz on chat forums or internet groups is doing so illegally. Copyright © Glynne MacLean 1998-2018. All rights reserved. This material may not be published, broadcast, rewritten or redistributed in any form. This Site Built & Maintained By FrogWrite Creations P.O. Box 27, Eketahuna 4940, New Zealand. Lightbox scripts courtesy of Dynamic Drive.